Idaho Back Roads- Steelhead shutdown? RIGGINS, IDAHO — For the second time in a few months, environmentalists are putting fear into the hearts of Idaho fishing communities. Last fall, a group of environmentalists threatened to sue to stop steelhead fishing in Idaho. The suit said federal fisheries managers had failed to approve a plan to manage Idaho's wild steelhead. Negotiators were able to keep the season alive, but now the government shutdown has some saying the spring season may be in jeopardy. The latest controversy started when the Idaho Conservation League discovered that NOAA Fisheries managers who are supposed to be working on approval of Idaho's steelhead plan are on furlough. So ICL director Justin Hayes wrote this letter to Governor Brad Little. The letter says "Idaho's permit application is sitting on a desk in an empty office," putting river communities at risk. The letter concludes by asking the governor to ask the Trump Administration to prioritize getting federal fisheries managers back to work. But will that happen? And if not, will the season really shut down? One thing is for certain. With the exception of a couple of stretches of river, steelhead season is open in Idaho until at least March fifteenth. But ICL says the government shutdown is a concern. "With these government employees not able to work on this, it could potentially sht the season down again,"	said ICL Conservation Fellow, Dagney Deutchman. Bill Mauk, a Boise attorney who represents the idaho River Community Alliance is not worried. "I don't think anyone should panic," said Mauk. "We're open for business in Riggins and Lewiston and Orofino. Restaurants, and bars, and tackle shops and fishing guides are all ready to serve you, and for the next sixty days, we've got a firm agreement that fishing is open for steelhead." Mauk was one of several attorneys who helped negotiate the deal that kept the season open after environmentalists threatened a suit to shut down fishing in Idaho. He says an extended government shutdown would cause some concern, but he doesn't believe a shutdown will happen. "We've developed a good working dialogue with all these interest grops and I'm optomistic that if something like that happens beyond the control of any of us, that we can come back to the table and negotiate further and see what we can do to extend the season. 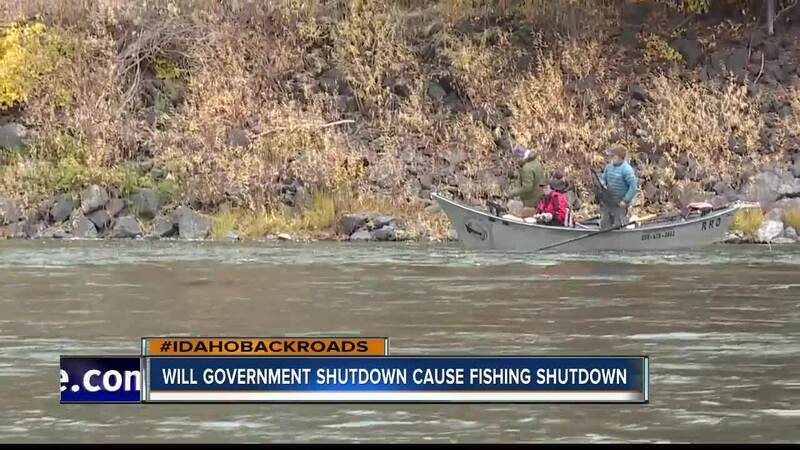 Even one of the main players in the original lawsuit says he doesn't believe the shutdown will stop fishing in Idaho. He declined to speak on camera, but called the letter "grandstanding." Deutchman herself admits that the notion of President Trump prioritizing river communities in Idaho may be naive, but she says it's important for our governor to take this issue seriously. "Some attention would be better than nothing," said Deutchman. "Because that would then motivate people to take this issue seriously. To bring more attention to the issue, the Riggins community is holding a rally and celebration of steelhead this weekend. It will involve food, drink, and of course fishing for steelhead.